Historically, pharmacists have safeguarded people from “poisons” and other substances that could cause harm to the public. But now, more than ever, pharmacists are charged with the responsibility to ensure that when a patient receives and uses a medicine, it will not cause harm. Medication errors are a serious source of avoidable harm and death, and pharmacists’ involvement in ensuring safety is crucial. Worldwide, medication errors cost an estimated USD 42 billion annually, amounting to 0.7% of total global health expenditure. Patient safety is a high priority for pharmacists. On a global level, FIP works closely with the World Health Organization (WHO) on its patient safety programme. In 2014, FIP took part in the WHO brainstorming meeting, helping to develop what is now the WHO Medication Safety Challenge. In 2016, we contributed to the preparatory work around this challenge, including discussions of the next steps needed to strengthen the whole medicines use process and to reduce medication errors, for example, via interprofessional collaborative practice, or the implementation of new services and tools. 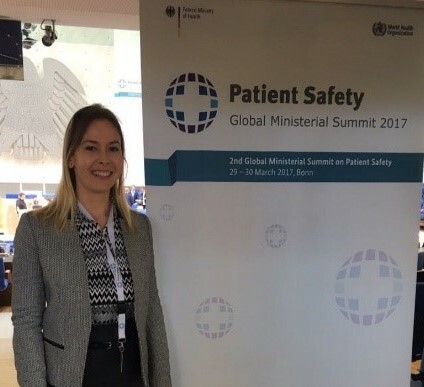 In 2017, FIP was one of the 300 experts from 40 countries present at the Second Global Ministerial Summit on Patient Safety in Bonn, Germany, co-organised by the WHO, the Organisation for Economic Co-operation and Development and the German Government. At this summit the Medication Safety Challenge was launched. The overall goal of the WHO’s Medication Safety Challenge is to reduce the medication errors and medication related harm by 50% in the next five years, worldwide. The intention is to stimulate action, create new policies (and services – point of advocacy for national pharmacy associations) at country and international level in four areas: patients, medicines, health care professionals and health systems and practices of medication. According to the WHO preventing errors and the harm that results requires putting systems and procedures in place to ensure the right patient receives the right medication at the right dose via the right route at the right time. The challenge aims to make improvements in each stage of the medication use process including prescribing, dispensing, administering, monitoring and use. WHO aims to provide guidance and develop strategies, plans and tools to ensure that the medication process has the safety of patients at its core, in all health care facilities. This premise is in line with the roles that pharmacists play and the FIP-WHO Good Pharmacy Practice.